This oceanfront condo comfortably sleeps a family of 6 with a king bed in the master bedroom, a queen and two twins in bedroom 2. With decks off the living room and master bedroom, guests staying in Ocean One 217 enjoy panoramic views of the Atlantic Ocean and its white sandy beaches. This recently renovated two bedroom oceanfront condo features a walk-in shower in the guest bedroom area and a tub/shower combination in the master. After hours in the surf, vacationers can use the outdoor shower located on the complex's private beach walkway and then dip into the oceanfront swimming pool. 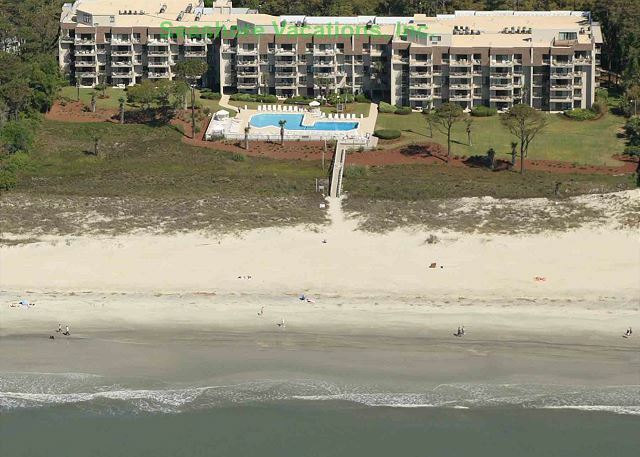 Ocean One has added a brand new grilling area to the complex just beyond the pool. Ocean One is a five story elevator building located in South Forest Beach. 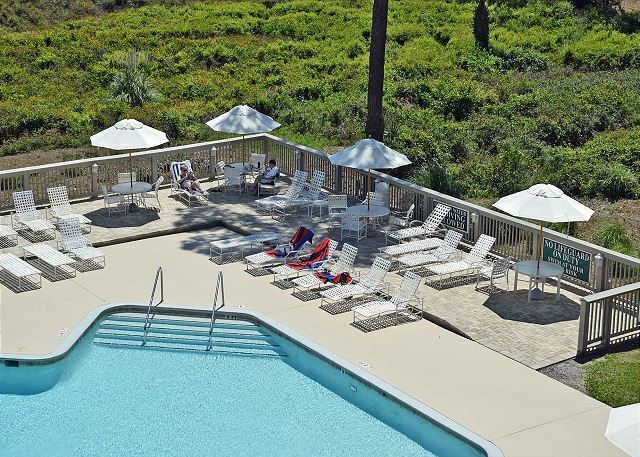 Among the amenities offered throughout Hilton Head Island, Ocean One is one block from the Coligny Beach Market, a quaint downtown area that offers guests a wide selection of restaurants, shopping venues, and entertainment for all ages. This up-to-date property has a spacious kitchen, elegant decor, and outstanding views that make Ocean One 217 an excellent vacation choice. As with our other properties this condo is "non-smoking". 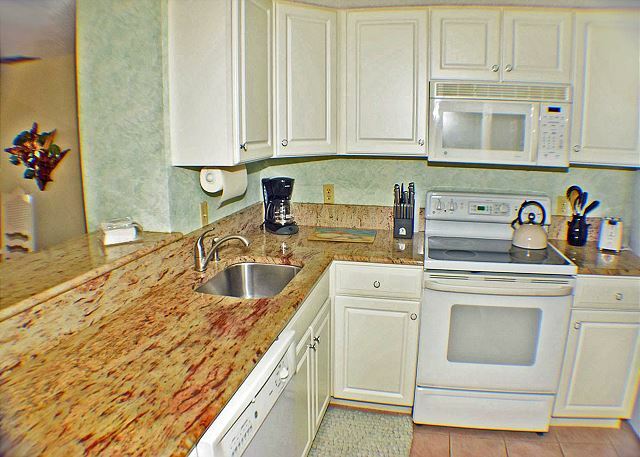 We loved the ocean view, comfortable furniture, full kitchen,and washer and dryer. 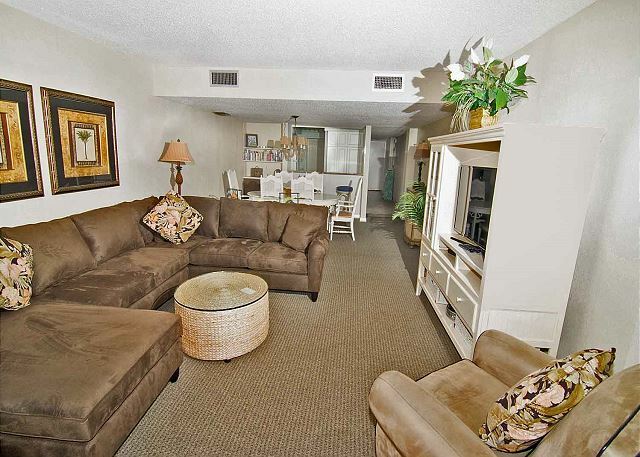 It's convenient to restaurants, groceries, and Coligny Plaza. We would rent here again. 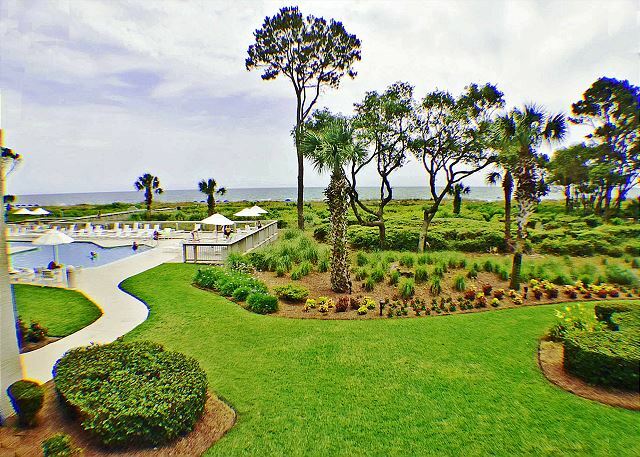 Seashore Vacations make it very easy to book. We had a wonderful stay at Ocean One 217! Unit location and view was perfect. The kitchen wasn't as clean as other units we've stayed in but it wouldn't stop me from renting 217 again. Great place to stay! 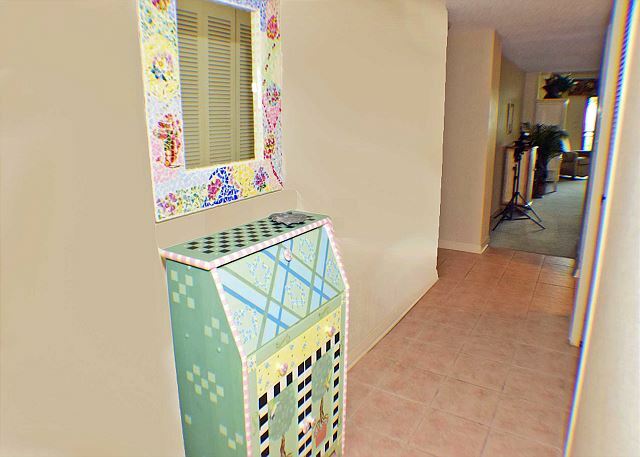 Very spacious with plenty of kitchen and other necessities for our use. Left an item in the dryer so waiting to see if discovered. Thank you! We've stayed at Ocean One before, this was nice on the oceanfront side. My only complaints were that the lock on the door was difficult and kitchen not well stocked (ie. no hot pads). We loved the location. Rental was fine except for beds. Both my husband and I complained of sore backs and since leaving we have had no problem. I suspect furniture could be updated. Otherwise great. Would rent it again. We had a wonderful month at Ocean One, unit 217. The only problem was the bed and we had to go buy a mattress pad. Even with that, we would go back in a heartbeat! We have stayed at Ocean One a number of times. This stay was another great week. The condo was clean. It had most everything we needed for our week. The balcony was great, but the balcony furniture needs some attention.The sleeping arrangement was good.The two single beds are a great idea. The mattresses on them are pretty old. Kids really like Ocean One coligny plaza and frost frog-so did I.The only thing the kids had an issue with was the TV. Something to do with Technology and how they can watch movies. 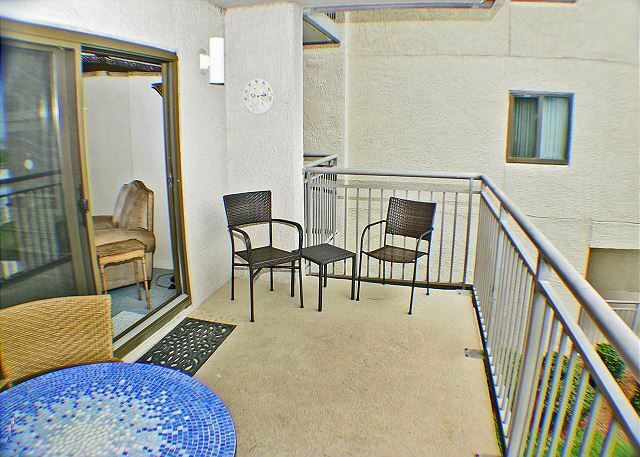 We would stay at this condo again and we understand that it is a rental. Just a few things to address.